New York City Health and Hospitals Corporation (HHC) President Alan D. Aviles today announced the appointment of Martha Adams Sullivan, DSW, as Executive Director of Gouverneur Health. Located on the Lower East Side of Manhattan, Gouverneur is part of New York City's public hospital system and is one of the State's largest diagnostic and treatment centers and also a skilled nursing facility. A social worker by training, Dr. Sullivan has served in several senior level management positions in hospitals, community based organizations and government, including previously as Director of Gouverneur's Behavioral Health program. "Dr. Sullivan has an extensive track record of leadership and innovation, and she has demonstrated over the course of her career a significant commitment to providing quality community based care," said HHC President Alan D. Aviles. "Gouverneur is an essential part of the Lower East Side community, and Dr. Sullivan will ensure that it continues to provide quality healthcare to all patients regardless of their ability to pay." Dr. Sullivan began her healthcare career on the Lower East Side and at Gouverneur Health. She worked in various leadership positions there for 16 years, including as Director for the Center for Older Adults and their Families, Director of Social Work and Director of Behavioral Health. She also served as the Deputy Commissioner for the Bureau of Community Liaison and Training at the NYC Department of Health and Mental Hygiene. 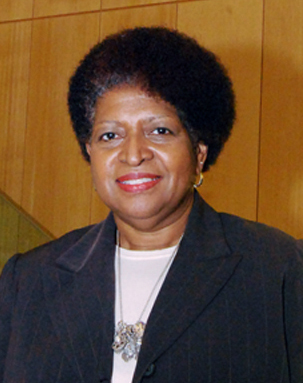 Most recently, in her capacity as Vice President at St. Barnabas Hospital in the Bronx, she served as Executive Director of the Fordham-Tremont Community Mental Health Center. She is currently the President of the National Association of Social Workers New York Chapter and is the Founder and Chair of the Citywide Mental Health Coalition for the Black Elderly. Dr. Sullivan is widely published in the fields of minority, family and mental health, and has served as an adjunct Assistant Professor at the Silberman School of Social Work, and as a visiting faculty member and consultant for other academic institutions and City agencies. "Dr. Sullivan brings a wealth of experience to HHC and Gouverneur Health, and she has many years of expertise leading groundbreaking healthcare initiatives and running complex organizations," said Lynda Curtis, HHC Senior Vice President for the South Manhattan Healthcare Network, which includes Gouverneur. "This experience is particularly important as Gouverneur Health is in the final stages of a $250 million modernization effort." "Gouverneur Health has been offering quality affordable services to the Lower East Side for over a century," said Dr. Sullivan. "The facility has made tremendous strides in the last decade with its major modernization and introduction of cutting-edge healthcare models. Our goal is to be a welcoming medical home for our community that offers a full range of wellness and health services emphasizing prevention, all in one place. This really makes Gouverneur unique, and I am excited to rejoin the organization to support this important mission. " Dr. Sullivan has received her bachelor of arts from NYU, a masters in social work from the Silberman School of Social Work, and a Doctor of Social Welfare degree from the City University of New York Graduate Center. She has been a Clinical Fellow at the Council on Social Work Education, and has received an advanced certificate in family therapy and supervision at the Minuchin Center for the Family. Gouverneur Healthprovides primary and specialty outpatient care through its Diagnostic and Treatment Center (D&TC) and residential care for the elderly and infirmed in its Skilled Nursing Facility (SNF). Gouverneur Health is in the final phase of a $250 million modernization project to offer enhanced, cutting edge healthcare services in a transformed space. Gouverneur's D&TC is the largest freestanding D&TC in New York, providing more than 300,000 visits per year on the Lower East Side. Gouvernuer provides a comprehensive array of on-site services, including pediatrics, women's health, dentistry, primary care, behavioral health, podiatry, optometry, ENT, digital imaging, infections disease, and other specialties and sub-specialties. Gouverneur Health's Skilled Nursing Facility provides 24-hour care for individuals in need of short-term or long-term care. Residents receive medical, nursing and rehabilitative care in an atmosphere of dignity and compassion. Therapy services include physical therapy, occupational therapy, speech and audiology, and vocational rehabilitation. The New York City Health and Hospitals Corporation (HHC) is a $6.7 billion integrated healthcare delivery system with its own 420,000 member health plan, MetroPlus, and is the largest municipal healthcare organization in the country. HHC serves 1.4 million New Yorkers every year and more than 475,000 are uninsured. HHC provides medical, mental health and substance abuse services through its 11 acute care hospitals, four skilled nursing facilities, six large diagnostic and treatment centers and more than 70 community based clinics. HHC Health and Home Care also provides in-home services for New Yorkers. HHC was the 2008 recipient of the National Quality Forum and The Joint Commission's John M. Eisenberg Award for Innovation in Patient Safety and Quality. For more information, visit www.nyc.gov/hhc or find us on facebook.com/nycHHC or twitter.com/HHCnyc.